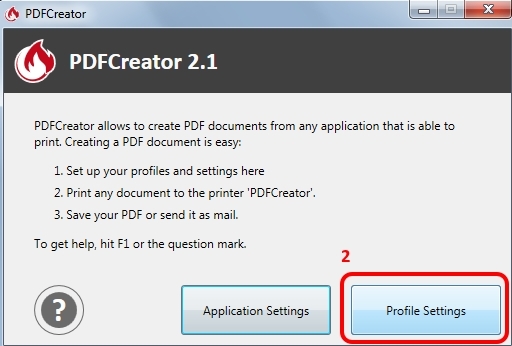 PDF Creator is a free program (with paid versions also available) whose purpose is to act as a virtual printer that prints the documents into a PDF file. 1 - Open PDF Creator from the start menu. 2 - Click on "Profile Settings"
5 - Mark "Sign PDF document with a digital signature"
6 - In this program you need to point the location of your private key in a standard PFX or P12 file format. If you click on "Set Password" the program can remember your password and you don't have to enter it every time you print something using the program. 9 - If everything is ok, click "Save". Then close the other window. When you print something using this program it should digitally sign and time stamp the PDF that is saved. 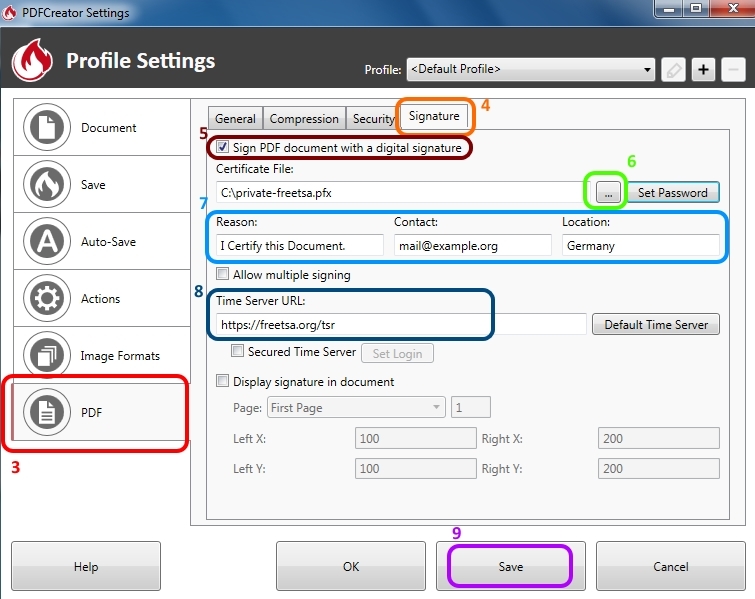 You need to disable the option when you don't want to digitally sign the PDF being saved.